You can increase the size of the skin with Left click (on the background). Middle click to decrease. Use the "slideshow" panel in the "settings" folder to change the path of the pictures. 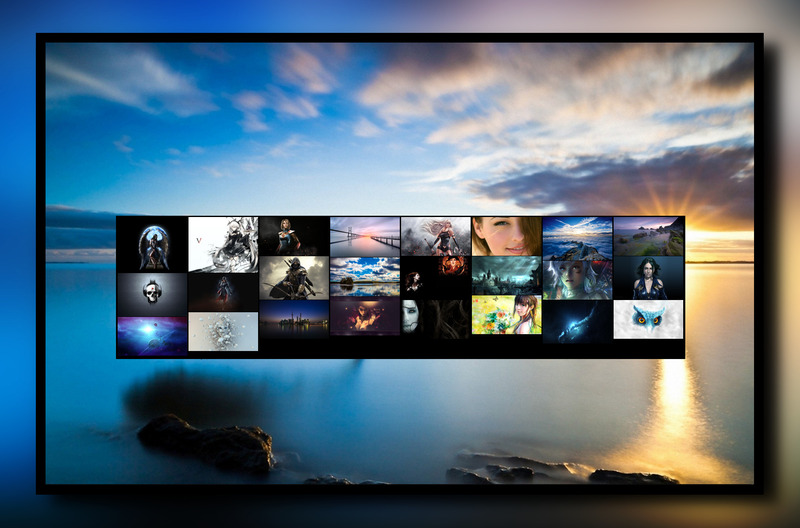 ImagesWall: shows a wall of 24 pictures. Mouse over for the name & the path of the picture. 2 versions. V1: not a slideshow. You can change one of the picture with a left click. V2: a simple slideshow, with a very slow speed to save CPU resources. Wallpaper "superb sunset". Original author Unknown.